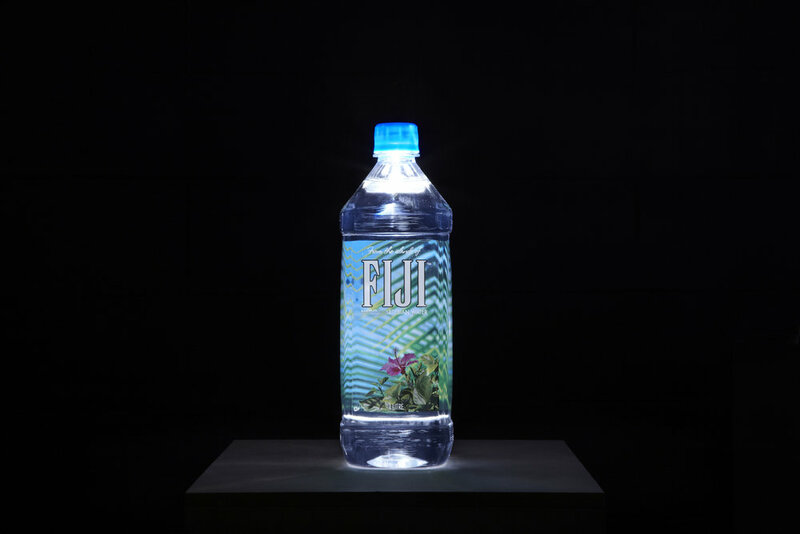 The Source is a response to ‘Litre of Light’: a global open-source movement that aims to provide ecologically and economically sustainable indoor lighting to underprivileged households e.g. in third-world and developing communities where electricity is either expensive or unavailable. 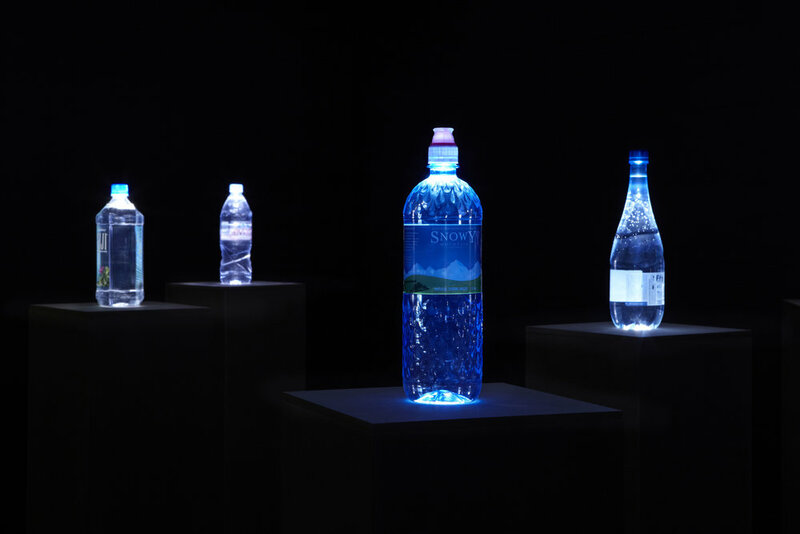 It consists of a simple mechanism: a PET bottle filled with chlorinated water is inserted into the roof of a house — half in, half out — thus acting as a lens through which natural daylight is diffused as workable, indoor lighting. 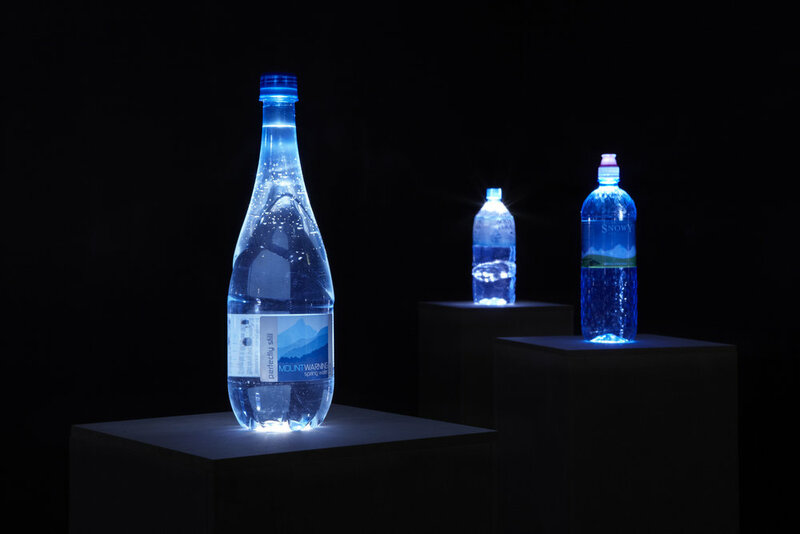 The Source consists of a collection of various brands of bottled spring water upon a group of plinths, glowing faintly within a darkened gallery. The social and environmental ethics from which they derive their primary function are dissolved — recontextualised instead as objets d'art.